Meet Ciara Timoney – intern for The Belfast Opera! Ciara is a soprano studying in her final year of Music at the Ulster University, Magee and is wanting to pursue a career in opera in the future. Ciara is a member of the Ulster University Choir and has also been a member of the Ulster Youth Choir for the last six years. 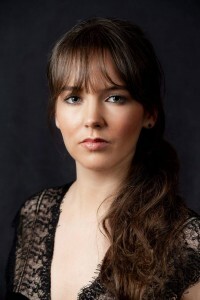 She has been fortunate enough to perform at the BBC Proms in the Royal Albert Hall, at the Lucerne Music Festival, and has just recently performed at the world premiere of Paul Mealor’s Jubilate Deo, in Carnegie Hall in February past. What interested you about The Belfast Opera? Firstly, what intrigued me about TBO was the idea of an opera based on Belfast which is rich in its heritage. I was quite interested how the opera would be produced and in what way the story would take shape. Was it going to be based on the troubles? Or, was it going to be about the thriving industrial sector that was once at the heart of Belfast. With these thoughts in mind I became much more interested in how the production would take form, what the music would sound like and how the set would take shape. All of these got me excited and made me want to be a part of the production process and to take part in something that will forever be remembered in the history of Belfast. What is also great about TBO is that they’re working within the community, and involving the people of Belfast in every aspect of showing how their city is represented. As well as this, I think that it is fantastic that the way that TBO are making opera more accessible and open to a wider audience, especially through the community chorus. This especially interested me, as it is something that I feel passionate about and feel that opera is for everyone, and not just a select group. What is great about my internship with TBO is that it’s never boring, every day we will have something new and exciting to do. An average day at TBO entails organising schedules for the chorus and the main cast so that everyone is up to date on rehearsal times and venues. Other duties include attending rehearsals to see how the singing is coming along and attending meetings to discuss any issues that occur, especially in the run up to the opera so that everything runs smoothly. What I have learned so far in my internship is that all of this organisation is crucial to the production of the opera, and without it, the opera would simply not take place. How many more minutes do I have left in bed until I have to get up. 3/4 you have to know who you’re talking to before you answer the phone and if you want to. Joke btw. Chocolate all the way, why ask. Meet one person dead or alive? If you could have any job that you wanted, what would it be? To be a professional opera singer and to sing at the La Scala, Milan, Italy. That is the dream. What music are you listening to at the minute? Always half-full, wouldn’t be fun otherwise.